Premium, handmade cigarmaking is returning to Ybor City. The J.C. Newman Cigar Co.—known for such premium brands as Diamond Crown (including the new Black Diamond), Brick House and El Baton—announced the creation of the J.C. Newman Fourth Generation Cigar Co., a new boutique cigar division. 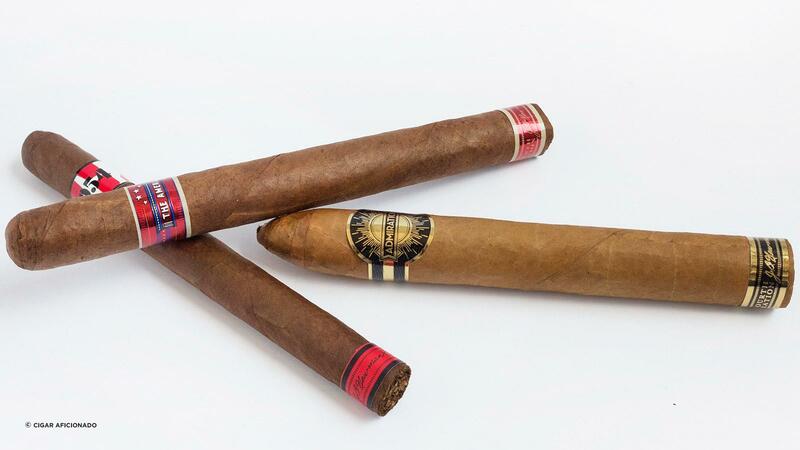 Fourth Generation won't be producing cigars in Nicaragua or the Dominican Republic where other Newman brands are made, but instead will roll cigars by hand in the company's facility located in Tampa, Florida's historic Ybor City neighborhood. In fact, Fourth Generation has already begun shipping its first three brands to retail cigar shops. "Our family and so many others make wonderful cigars overseas. With the J.C. Newman Fourth Generation Cigar Co., our goal is to prove that world-class cigars with American tobaccos can be hand-rolled in America once again," said Drew Newman, whose father, Eric, and uncle Bobby are the president and vice president of J.C. Newman., respectively. Newman conceived the idea for the new company with his wife, Ariel Peters, as a way to honor and celebrate the centuries-old tradition of cigarmaking in America by hand-rolling cigars in Tampa. The Newman's Tampa cigar factory, a classic red-brick building called El Reloj, which means "the watch" in Spanish and is a reference to the large clock tower that towers over the street below, is all that remains in Tampa aside from a few smaller boutique operations. J.C. Newman was founded by Julius Caeser Newman in 1895. For many years, it operated out of Cleveland, Ohio, and then in 1954, his son Stanford J. Newman moved the company's operations to Tampa. Cigars were originally made there by hand, but for many years, the factory has produced only machine-made cigar brands such as Factory Throwouts, Rigoletto Black Jacks and Mexican Segundos on ancient machines that date back to the 1910s. According to Drew Newman, though, the company plans to refurbish part of El Reloj to facilitate the making of premium, handmade cigars. Starting this fall, the basement will be overhauled so that tobacco can be properly fermented and sorted, while a new modern rolling room with two full-time rollers will be constructed on the ground floor. "As we build out new rolling and aging rooms along with space to bulk ferment tobacco in our Tampa factory, we hope to be able to open up the space for visitors so that cigar enthusiasts can see and appreciate how fine, handmade cigars are made without having to fly down to the Dominican Republic or Nicaragua," says Drew Newman. Fourth Generation has already begun shipping its first orders for three premium cigars brands. However, since the handmade operation won't be finished until Spring 2017, the first batch was produced at Puros de Estelí Nicaragua S.A., the company's factory in Nicaragua, also known as PENSA. The flagship brand for Fourth Generation is called The American. Originally rolled in New York City in the late-1800s, The American became the first cigar rolled in the El Reloj factory when it opened in Ybor City in 1910. Everything concerning the new incarnation of The American is made in the United States. The boxes were constructed out of basswood sourced from within the U.S. and are made by Miquel Cabrera's Millenium Wood Box located in Miami. The labels were printed by Action Label, a company owned by Jason and Ryan Schenck that's located in Orlando. And Nick Nanavichit and Matt Cohen of Nsolo in Miami designed all of the art. It's an American puro that features wrapper grown in the Florida sun by retailer Jeff Borysiewicz, a Connecticut Broadleaf binder grown by seventh-generation farmer John Foster, with fillers that include tobaccos from Pennsylvania and Connecticut Habano also from Foster's farms. The Florida wrapper has a slightly reddish tint to it and is dotted with oils. "What is most important to us is quality and craftsmanship," says Peters. "Like small-batch distilleries and craft breweries, we want to source in America as much as we can and be open and transparent about the entire supply chain and production process." The American comes in four sizes: No. 1, which measures 7 inches by 47 ring gauge; No. 2, 6 by 54; No. 3, 4 1/2 by 50; and No. 4, 6 1/8 by 52. The cigars will retail from $16 to $18, and only 25,000 will be produced, packed in boxes of 10. The Fourth Generation has also revived Admiration, a brand that was once rolled more than 100 years ago in the El Reloj factory. Drew Newman says that the name is an homage to the tradition of cigarmaking in Ybor City and the generations of cigarmakers who have worked there, including Stanford J. Newman and Carlos Fuente Sr.
Admiration is cloaked in a Connecticut Shade wrapper, uses Connecticut Broadleaf for binder and filler tobaccos cultivated in Nicaragua. It will come in four sizes: No. 1, 7 by 47; No. 2, 6 by 54; No. 3. 4 1/2 by 50; and No. 4, 6 1/8 by 52. The cigars come in 10-count boxes that coated in a matte-black finish with a gold foil logo on the lid. The third brand that will be rolled in Ybor City is called The 1954, named after the year Julius Caeser Newman moved his cigar company to Tampa. At that time, he created the Cuesta-Ray No. 95 and it quickly became one of the most popular premium cigars in America in the 1950s and '60s. The 1954 will be the same shape as the Cuesta-Ray No. 95 and is rolled with tobaccos that are "very special to the Newman family," said Drew Newman. Newman says the full details of the blend will be revealed in January. For now, we know that The 1954 will be available in only one size, a 6 1/4 inch by 42 ring gauge cigar. Only 1,954 cigars have been rolled, each retailing for $19.54 and packed in attractive boxes of 10. The art on the attractive boxes for The 1954, which looks to be straight out of the creative intro to the show Mad Men, depicts a silhouette of Stanford J. Newman relaxing with a cigar in 1954. "The deal that Ariel and I made with my father and uncle is that we are just hoping to break even financially," said Drew Newman. "These cigars will retail for between $16 and $20 because the costs of doing everything in America—growing tobacco, rolling cigars, printing bands and labels, making boxes in America using American hard wood, etc.—is so high. Financially, this is a crazy project," said Drew Newman. For now, the company has created a temporary rolling area in the El Reloj factory that they are using now until renovations are complete in spring 2017.